Everybody is talking about this unique new cookbook for gourmet campers! 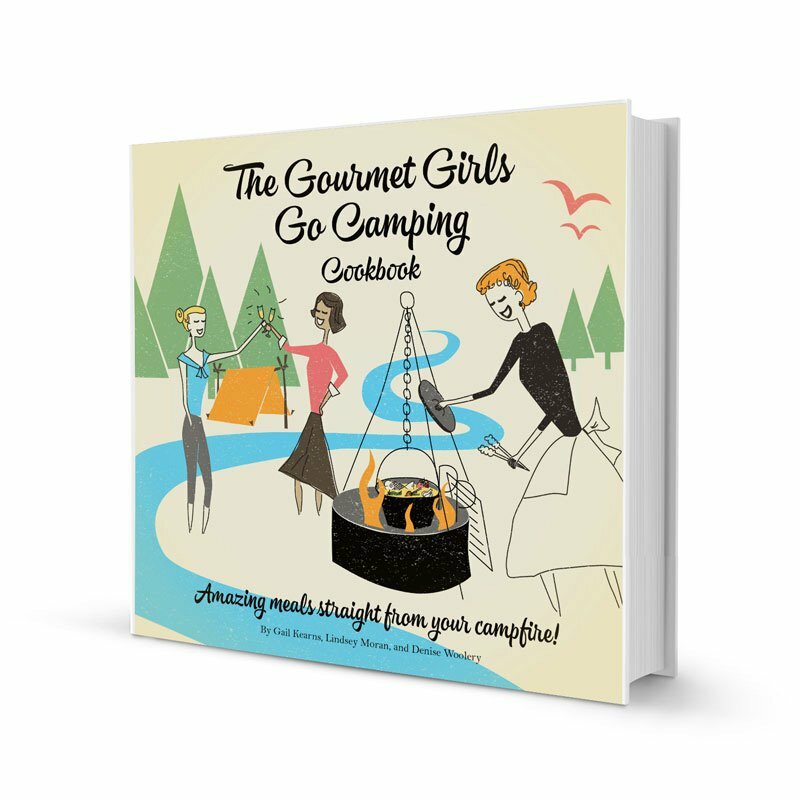 The three of us, known collectively as the Gourmet Girls on Fire, have created The Gourmet Girls Go Camping Cookbook especially for all you foodies, campers, RVers, and backyard chefs. Camping cuisine doesn’t get any better than this! The cookbook features over 140 awesome gourmet recipes which are delicious and camper-friendly. The book includes full-color images, useful tips and recommendations, and retro-inspired graphics. It is a must-have for anyone who loves to camp in style and enjoys delicious food prepared in the great outdoors . . . and it makes a great gift! We are so excited to be sharing the good news of a print version with you! The book is already available as an eBook. The 8" x 8" print version has a semi-concealed spiral binding, so it lays flat on your picnic table or other surface while you’re cooking up a storm and entertaining guests. It comes in its very own individual poly bag with a resealable flap. Lisa Atwood, former camp host at Ventana Campground, says, "I had the good fortune of meeting and getting to know the Gourmet Girls on their numerous camping trips to Big Sur. What a privilege it was to join them around the campfire tasting and testing many of the recipes in this cookbook. It will transform your camping experience, as it did mine, and delight you with the fun, humor, love, and of course the truly amazing recipes found within." Order three or more copies and you’ll receive an exclusive custom wine pairing guide prepared by Karen Steinwachs, winemaker for Buttonwood Farm and Winery, and specifically tailored to recipes in the cookbook. Writer and Illustrator Lindsey Moran, Executive Chef Denise Woolery, and Editor-in-Chief Gail Kearns are the Gourmet Girls on Fire! With our cookbook you will amaze your family and fellow campers by serving up delicious gourmet meals straight from your campfire! Be sure to check the About Us page, our Book Media Kit and Frequently Asked Questions for more information. 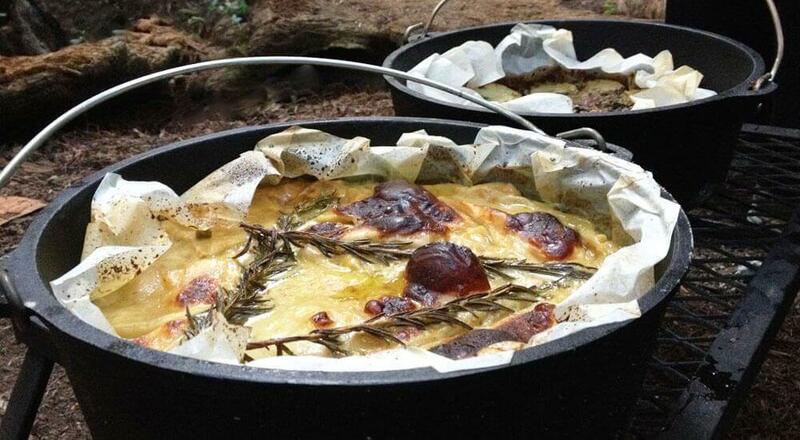 Serve amazing gourmet meals straight from your campfire! 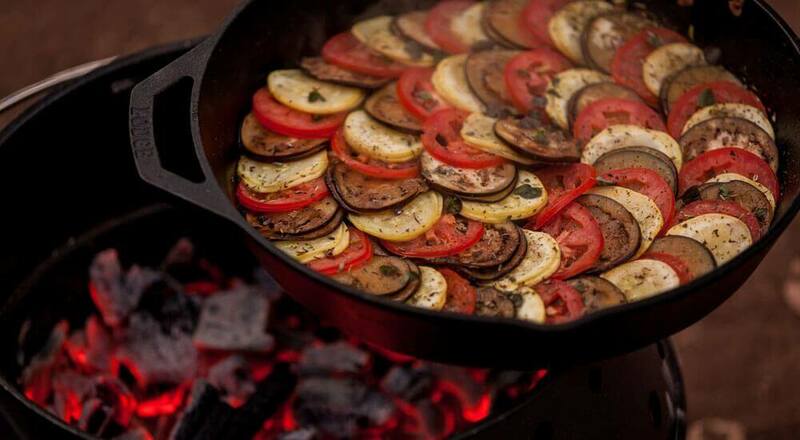 Amazing meals straight from your campfire!